Live in a city or a metroplex? Chances are, you will have to make a decision on choosing AT&T or Spectrum Internet. Live in a city or a metroplex? 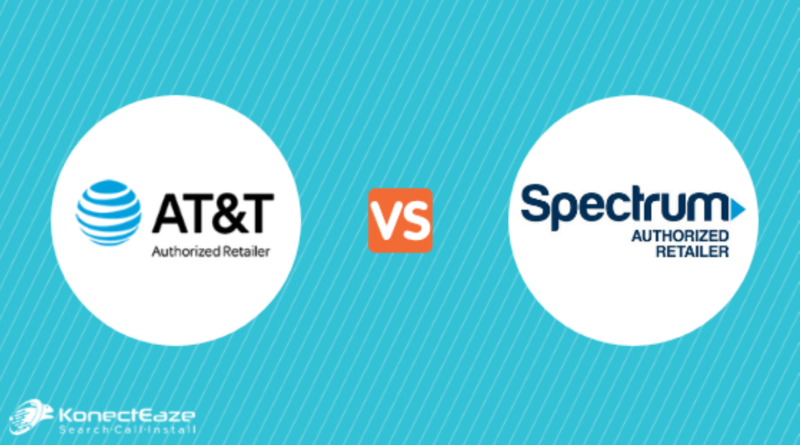 Chances are, you will have to make a decision on choosing AT&T or Spectrum Internet. In some cities, you may not have a choice if you want cable or DSL internet and you’re not willing to try Satellite Internet or Fixed-Wireless. Rest assured, we have your all-inclusive report on both of these major internet providers, so you’ll be set to make an informed choice when it comes to these two popular internet providers. Both internet service providers (ISPs) are good if you live in a city and both ISPs can give reliable internet service as long as you live within the city limits or in the greater metropolitan area. These providers do have their drawbacks, however. AT&T offers fast plans at an affordable price, but, their faster plans such as their Fiber Internet Packages are only available in select metropolitan areas and are not widely available. Spectrum Internet on the other hand offers customers a faster than average speed that spans a wider coverage area than AT&T. Spectrum Internet is even available in some rural markets or in the surrounding areas of larger markets. Convinced already? Enter your zip code to compare packages in your area. Please note: AT&T & Spectrum Internet plans vary based on availability. Call our sales center to confirm service availability. AT&T offers internet deals for every type of customer. Whether you’re looking for a bare-bones internet plan or a super-fast fiber internet plan, AT&T will likely have an internet deal that fits your budget and needs. There are some drawbacks that some customers will find troublesome. Such as internet speeds greatly vary on what part of town you live in. For example, some customers may only have access to their lower-tier internet packages and may only get speeds up to 10 Mbps while others can receive speeds up to 75 Mbps. With that being said, if you live in an area where you’ll only have access to the lower-tier speeds, we recommend getting a bundle deal with DirecTV to ease the amount of streaming on your internet. This is where you’ll get the most value if you’re forced to consider a lower internet speed from AT&T. There’s not much to dissect here which is both good and bad. With Spectrum, you’ll get a simple plan with speeds often greater than 20 Mbps in most areas where it’s available. Faster speeds may be available in some areas so it’s always good to call a sales center to confirm speeds before purchasing. Spectrum also has affordable bundles, although the prices are not as competitive as AT&T. Spectrum has a Double Play offer for $89.98/mo. and their Silver Triple Play for $109.97/mo. Both plans are good for those looking to add TV to their internet plan and make it easy by bundling their service together. Honestly, this is a tough one. They’re both great internet service providers that provide fast speeds, affordable pricing, and convenient bundle packages that customers can take advantage of. If you’re a customer who lives in a big city and is looking for fast internet that’s reliable for streaming media or gaming, consider getting AT&T and going with their Internet 75 plan. For customers looking for a good bundle plan or deals for lite internet users, Spectrum might be the better choice. Overall, they’re both excellent choices and are reliable internet service providers. Ready to purchase Spectrum or AT&T? Call us now and an authorized sales rep will help you set up your new internet service today.